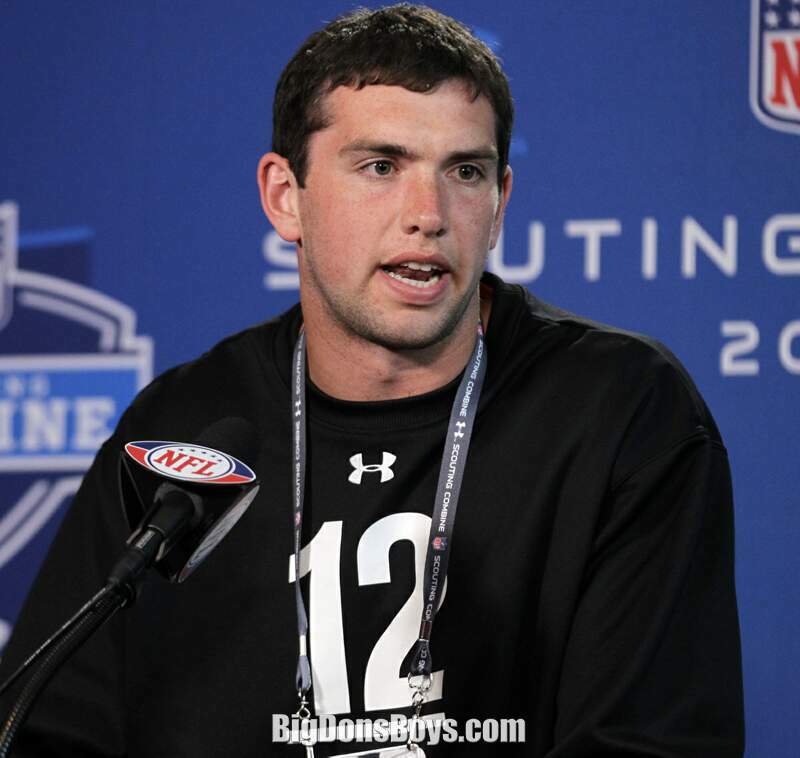 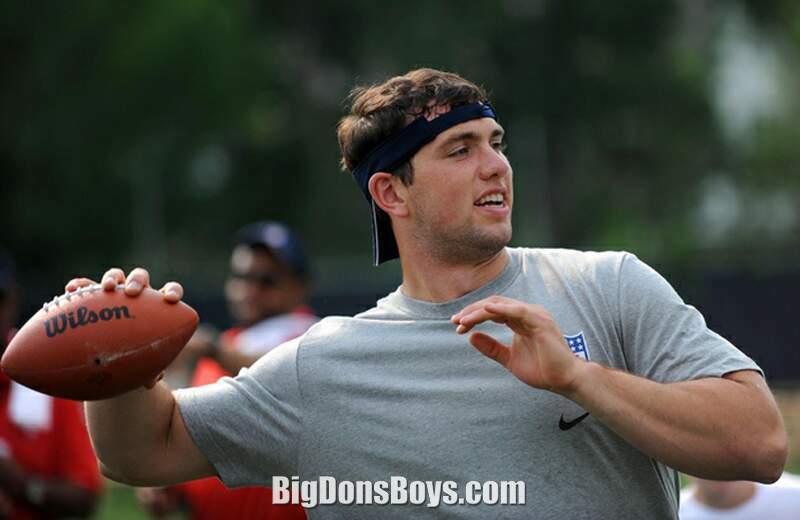 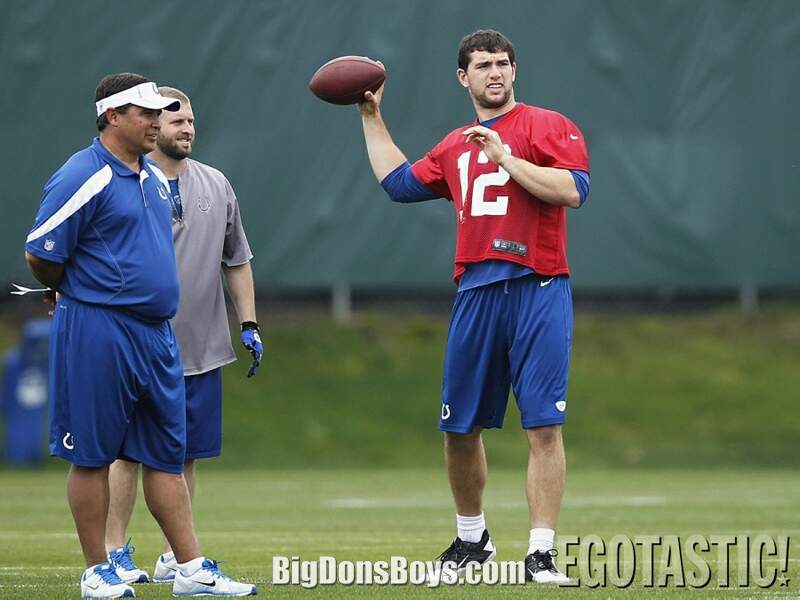 6'4" (1.93m) Andrew Austen Luck (born September 12, 1989) is an American football quarterback for the Indianapolis Colts of the National Football League (NFL). 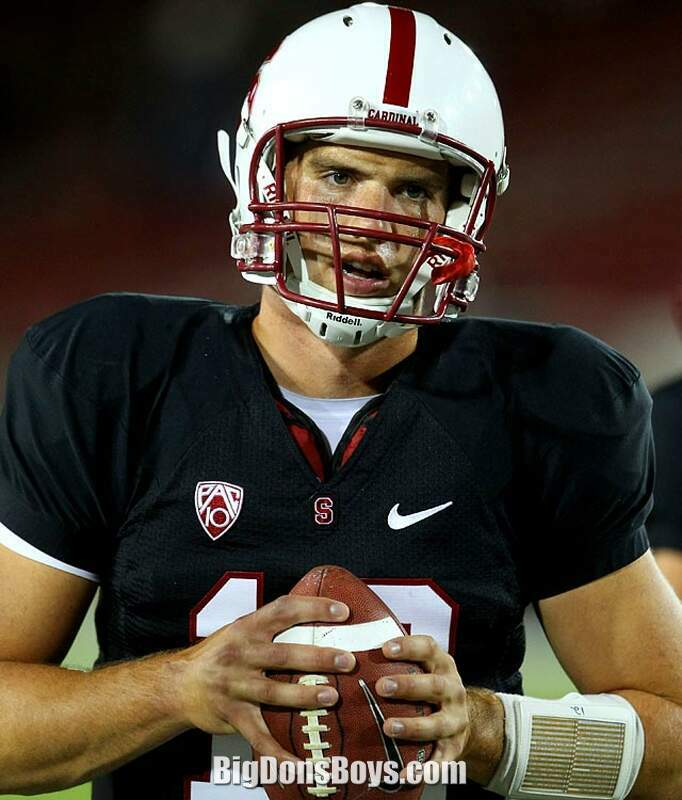 He played college football for Stanford University, won the Maxwell Award and Walter Camp Award as college football's player of the year, and was recognized as an All-American. 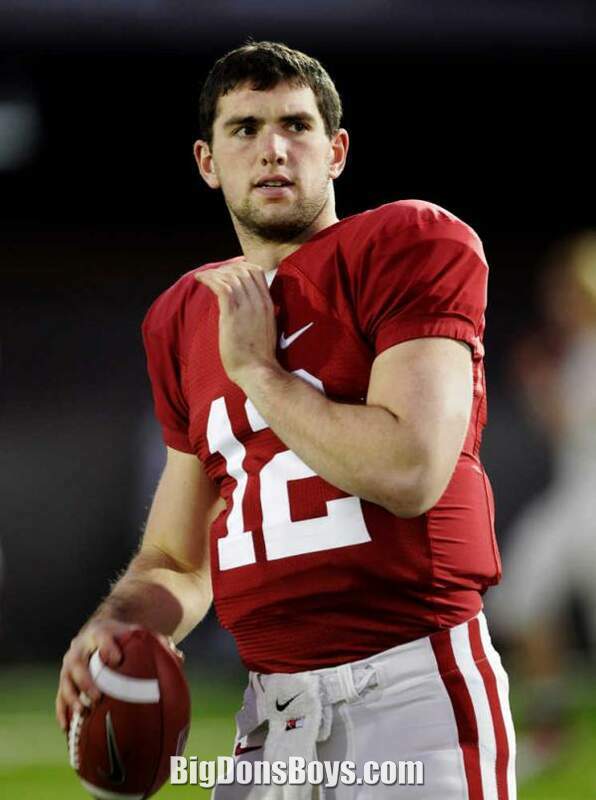 He was the runner-up for the Heisman Trophy in both 2010 and 2011. 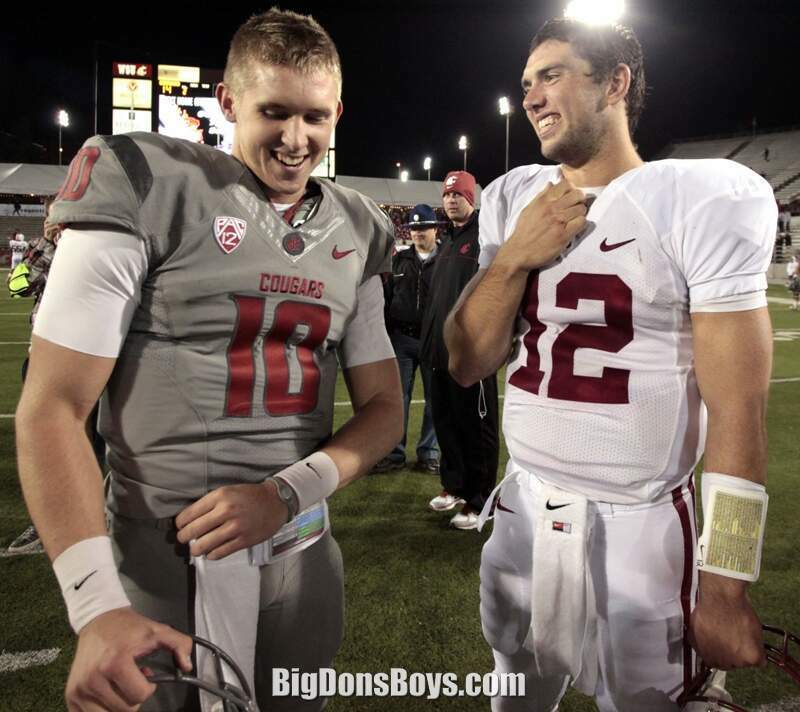 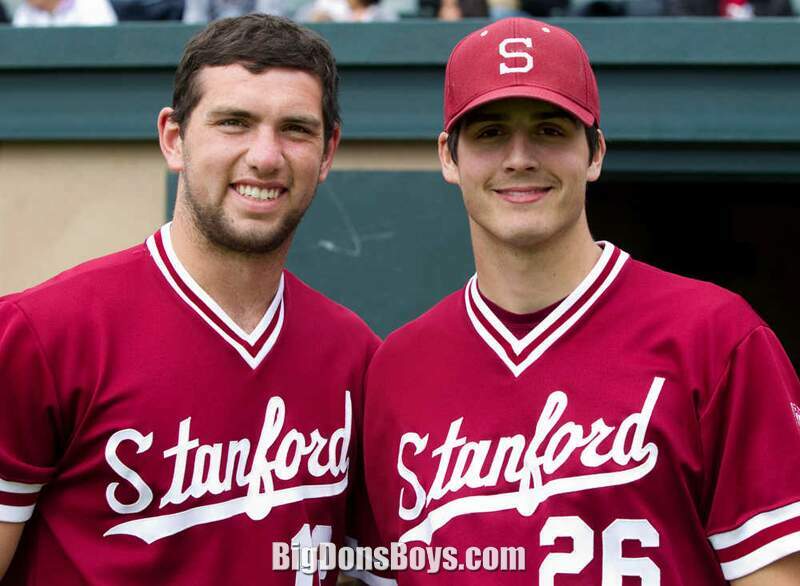 He was named the Offensive Player of the Year in the Pac-12 (Pac-10) Conference in both 2010 and 2011. 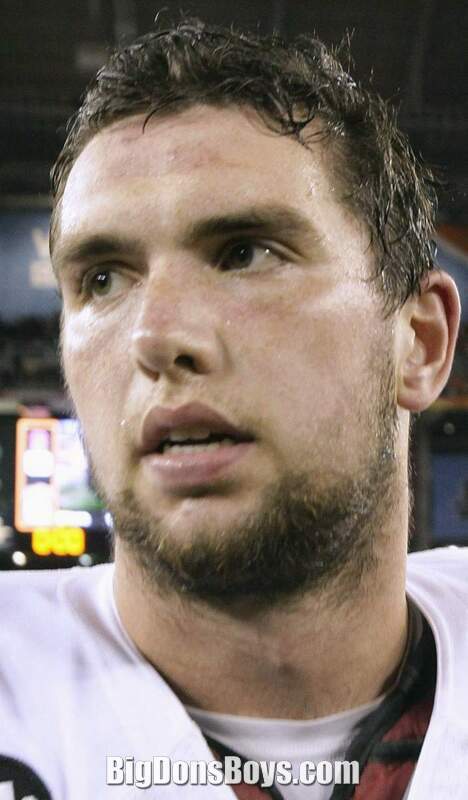 CBS Sports draft analyst Rob Rang called Luck the best prospect he has ever scouted, while the Kansas City Star put him in line with LeBron James and Bryce Harper as "the most hyped amateurs in recent sports memory". 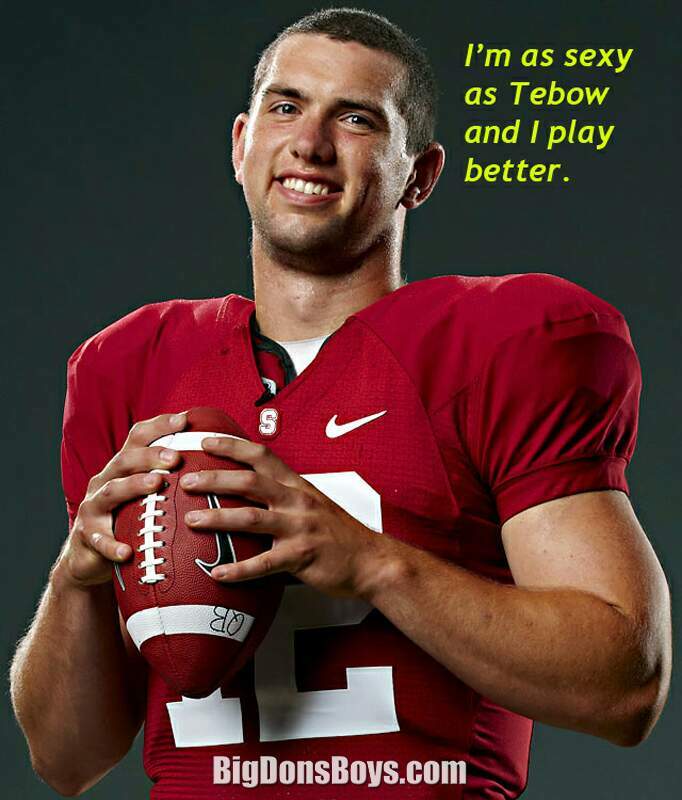 Although widely projected as the No. 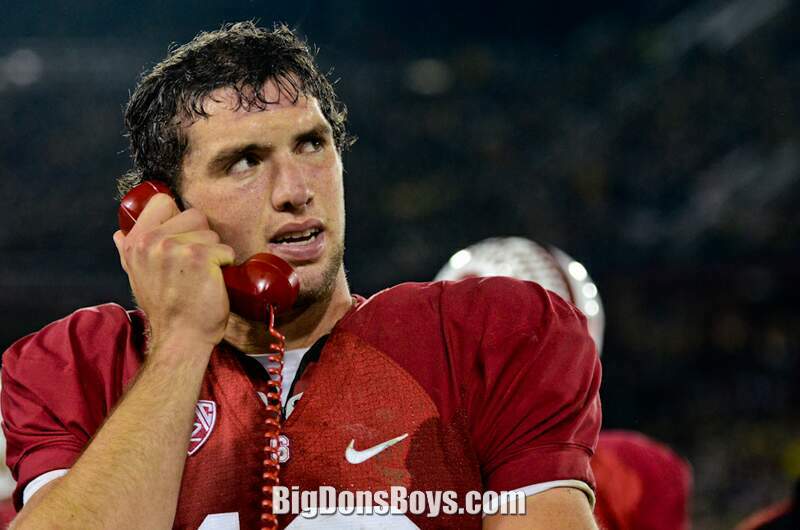 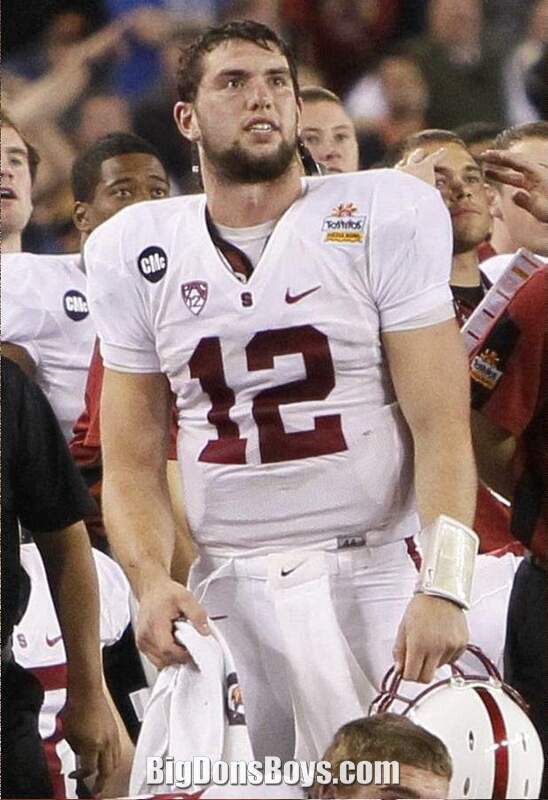 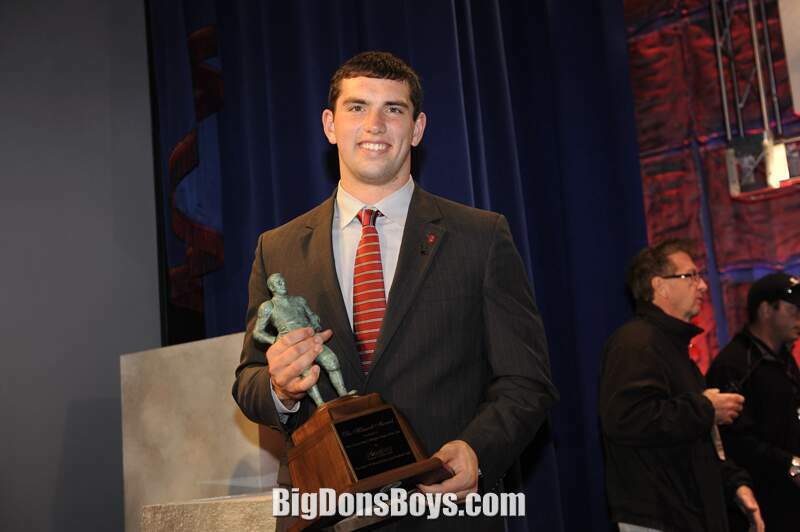 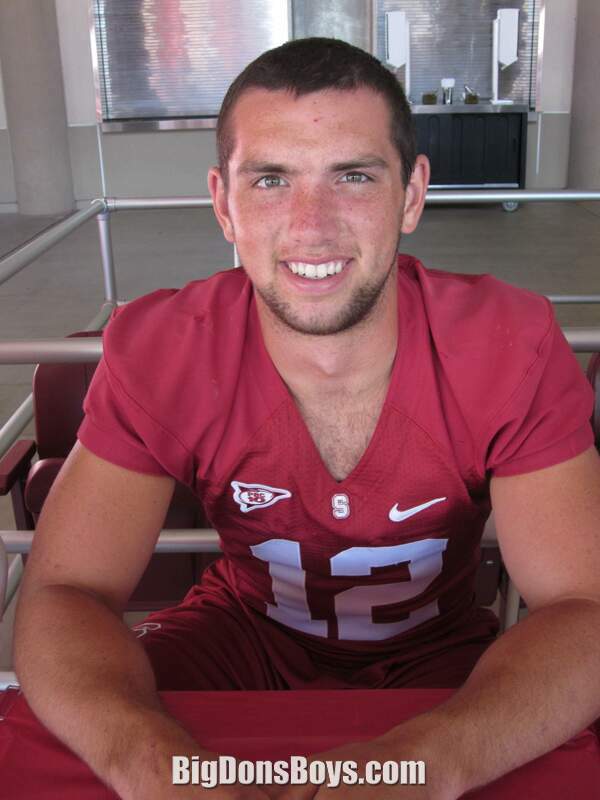 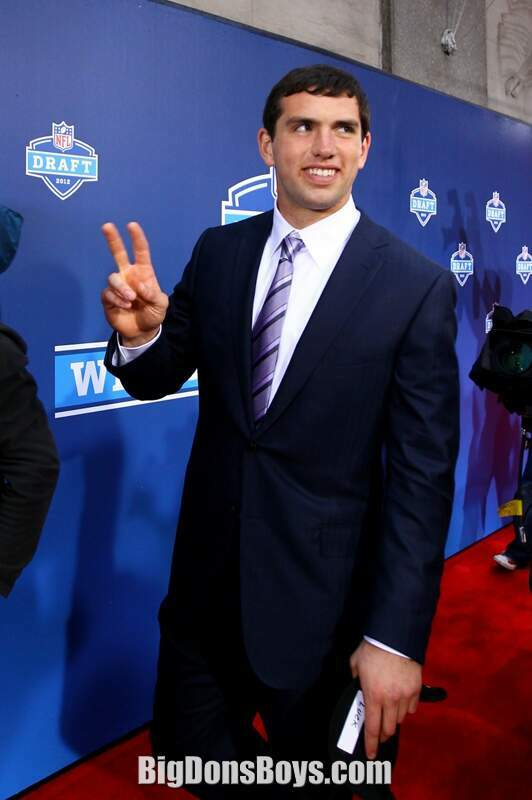 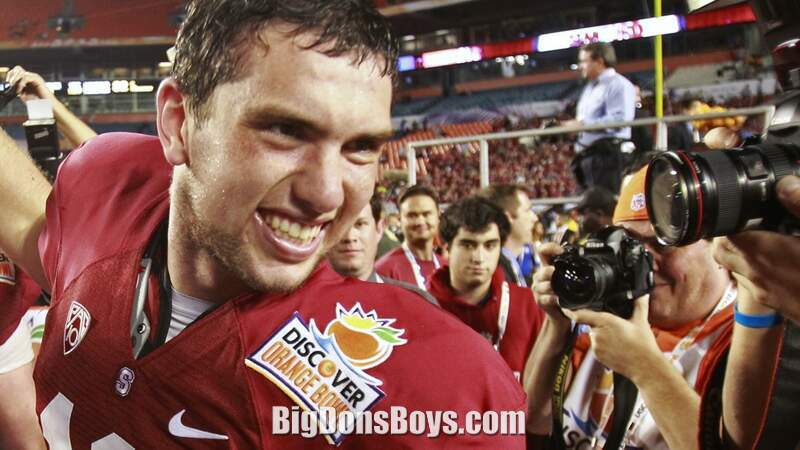 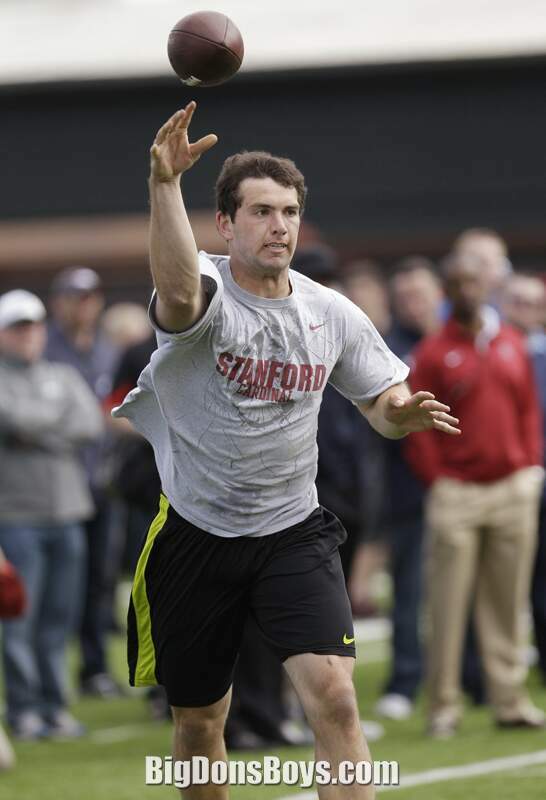 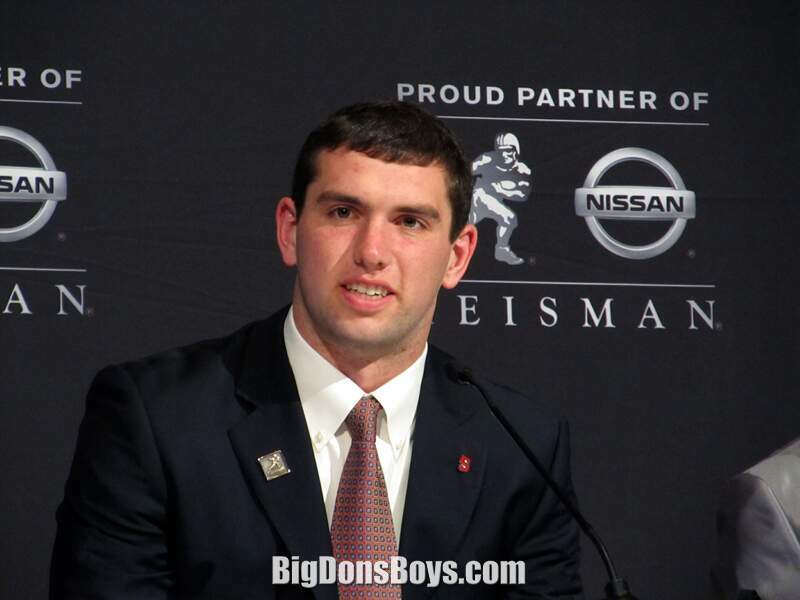 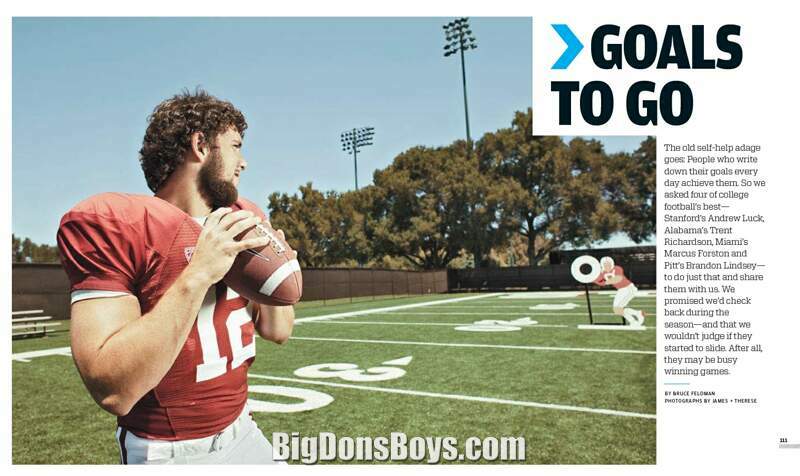 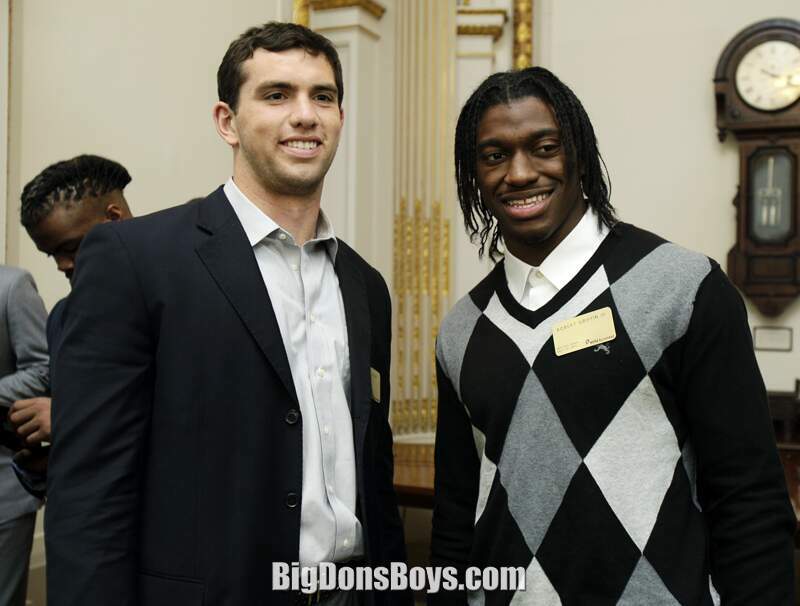 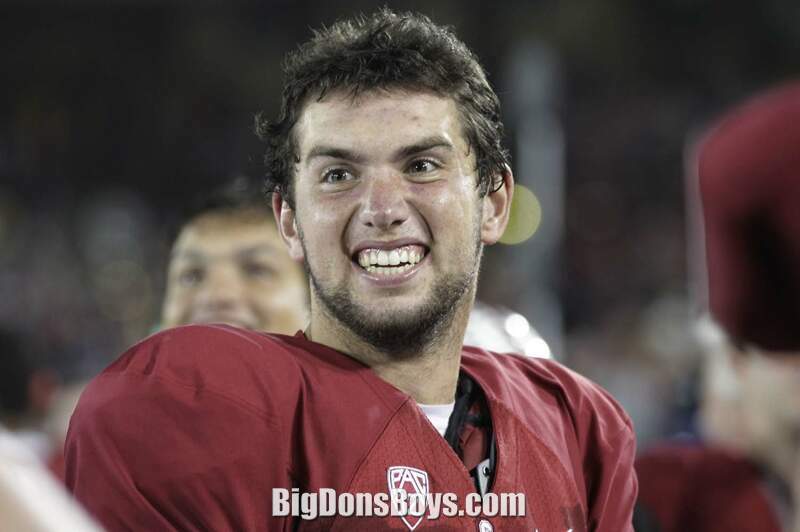 1 selection in the 2011 NFL Draft, Luck decided to return to Stanford for his redshirt junior season. 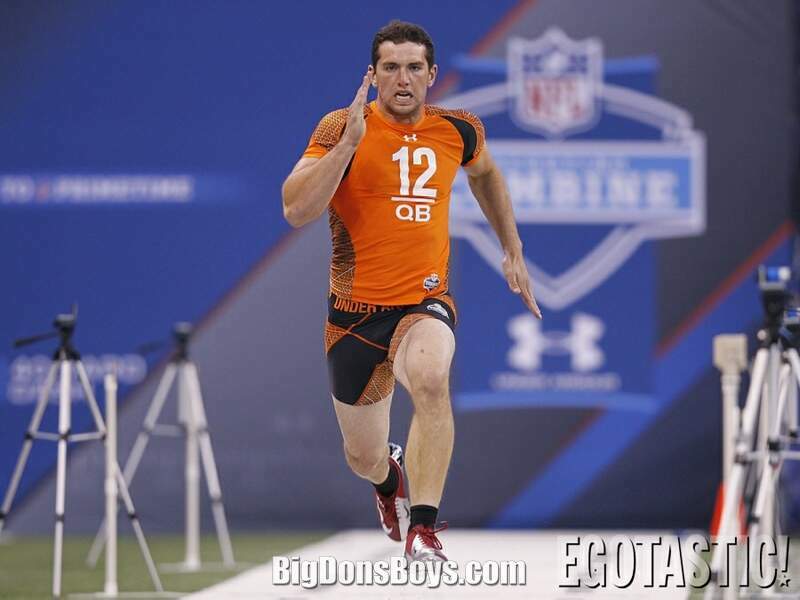 A year later, he was selected first overall in the 2012 NFL Draft. 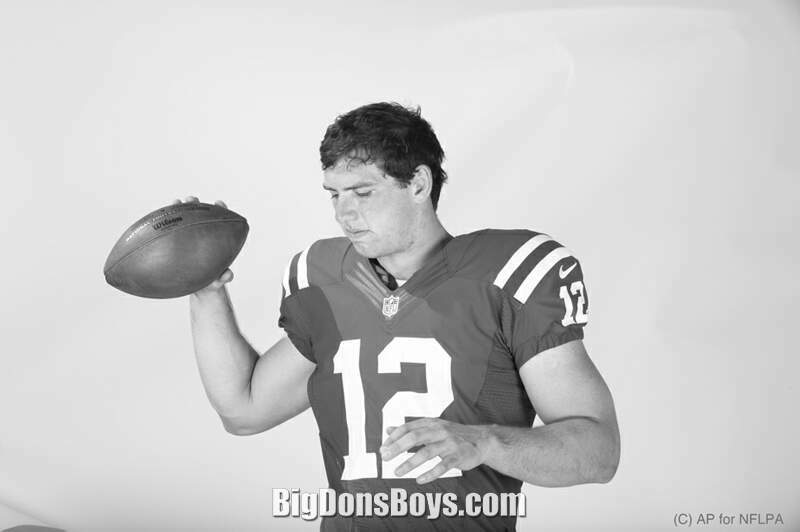 Luck was born in Washington, D.C., the son of Oliver Luck, current athletic director and a former quarterback at West Virginia University and former NFL quarterback for the Houston Oilers, and Kathy (née Wilson) Luck. 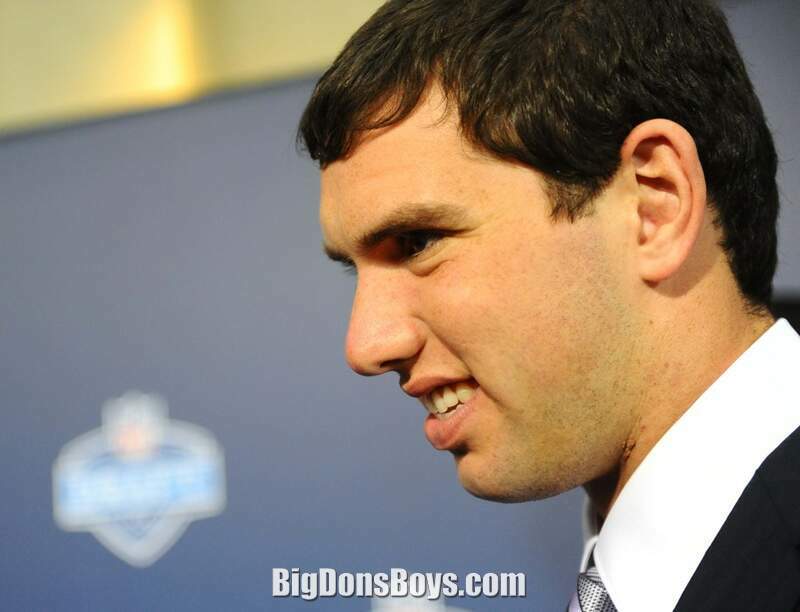 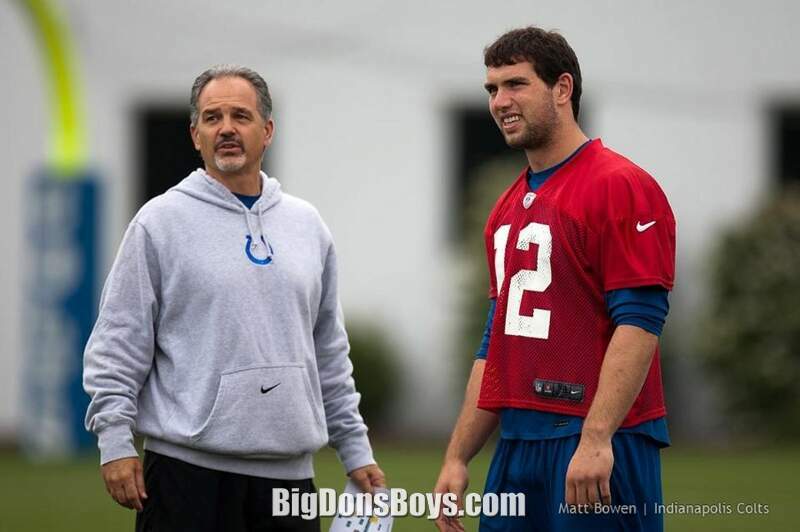 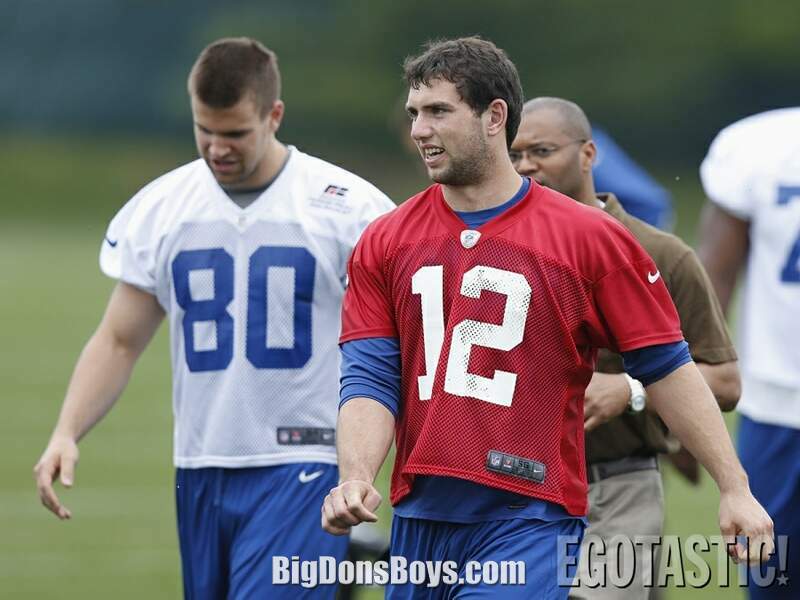 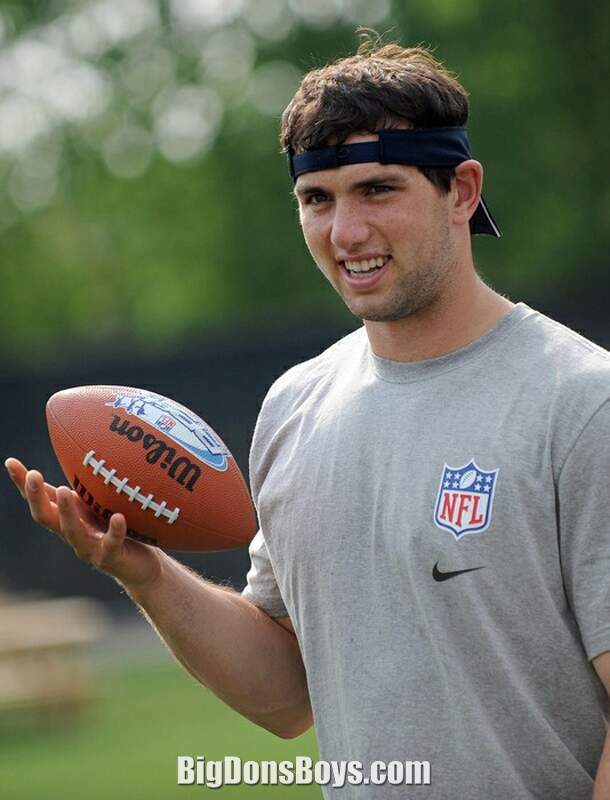 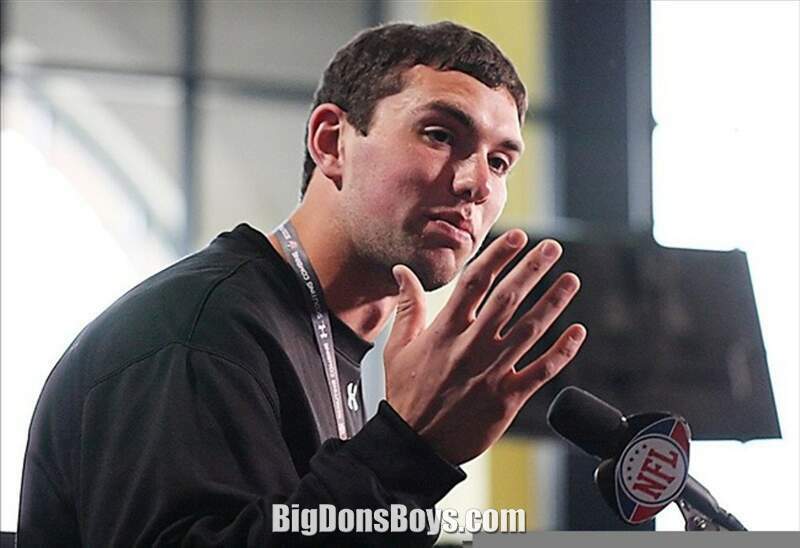 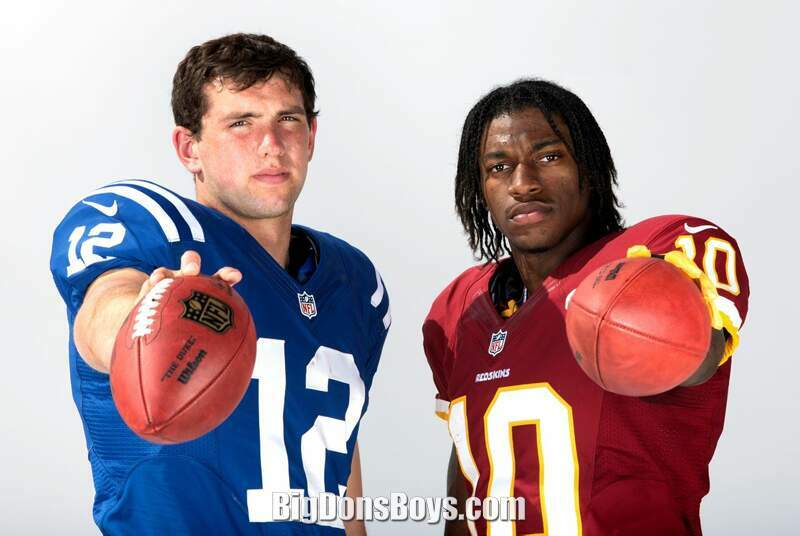 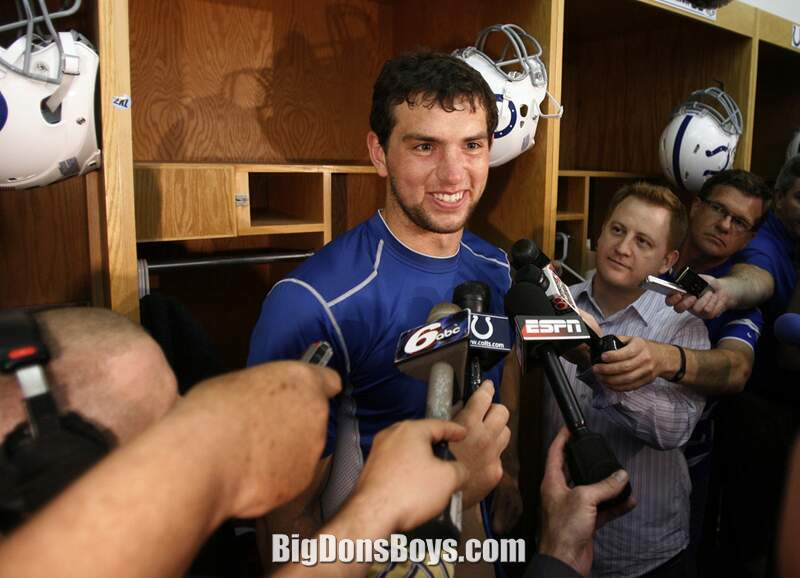 On July 19, 2012, Luck officially signed a four-year contract with the Indianapolis Colts worth $22 million.